Extending their winning streak to the seventh day in a row, the equity benchmark indices ended with sharp gains on Tuesday amid heavy buying in banks, IT and energy counters. 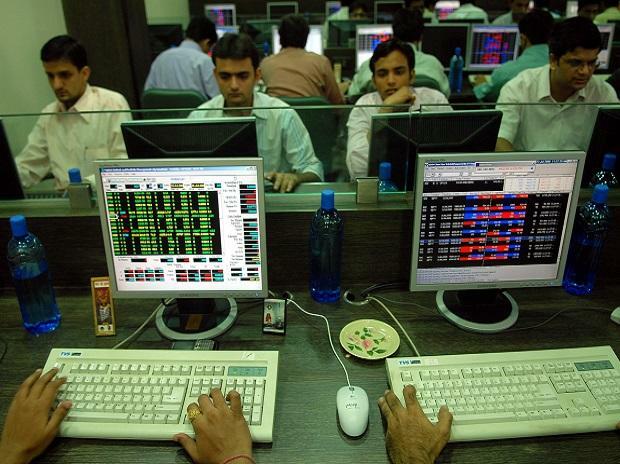 The S&P BSE Sensex gained 268 points or 0.70 per cent to settle at 38,363. Out of 30 constituents, 24 advanced while 6 declined. Reliance Industries (RIL), ITC, Infosys and HDFC Bank contributed the most to the index's gains while auto stocks and L&T emerged as the top drags. During the day, the index hit a high and low of 38,396 and 38,078, respectively. Market breadth remained in favour of advances as out of 2,875 companies traded on BSE, 1,408 advanced and 1,299 declined while 168 scrips remained unchanged. The broader Nifty50 index of National Stock Exchange (NSE) ended above 11,500 level at 11,532, up 70 points or 0.61 per cent. Volatility index India VIX eased over 3 per cent to 16.34 levels. In the broader market, the S&P BSE MidCap index ended at 15,220, up 79 points or 0.52 per cent while the S&P BSE SmallCap index ended at 14,873.36 levels, up 55 points or 0.37 per cent. Sectorally, PSU bank stocks advanced the most with the Nifty PSU Bank index ending nearly 2 per cent higher at 3,176. On the other hand, the Nifty Auto index continued to struggle and settled 0.70 per cent lower, weighed down by TVS Motor Company and Eicher Motors. Shares of IT firm Mindtree ended 2 per cent lower at Rs 943 apiece on BSE after the engineering and construction major Larsen & Toubro (L&T) last night announced the purchase of a 20.32 per cent stake in the company for Rs 3,269 crore. Shares of Anil Dhirubhai Ambani Group (ADAG) companies jumped in the trade with Reliance Communications (RCom) hitting upper circuit of 10 per cent at Rs 4.40 on the BSE after the company cleared the entire dues to Ericsson India to purge the contempt of a Supreme Court order. This apart, blue-chips such as Reliance Industries (RIL) and Axis Bank touched their record highs of Rs 1,378 and 763.20, respectively in the intra-day trade. Asian shares held to tight ranges on Tuesday ahead of a Federal Reserve policy meeting, but were broadly supported near 6-1/2-month highs on expectations the US central bank might strike a dovish tone, while fresh Brexit worries weighed on the pound. MSCI’s broadest index of Asia-Pacific shares outside Japan was virtually flat, easing back from its highest level since September 4 hit earlier in the session. Japan’s Nikkei average and Australian stocks both dipped 0.1 per cent.